It was a bright, sunny morning and the light was good. 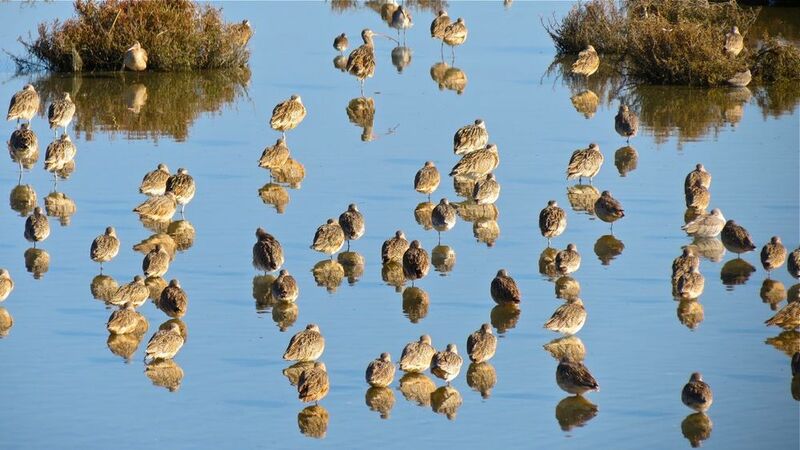 Marbled Godwits rested in a large group in the shallow water by the flood channel. 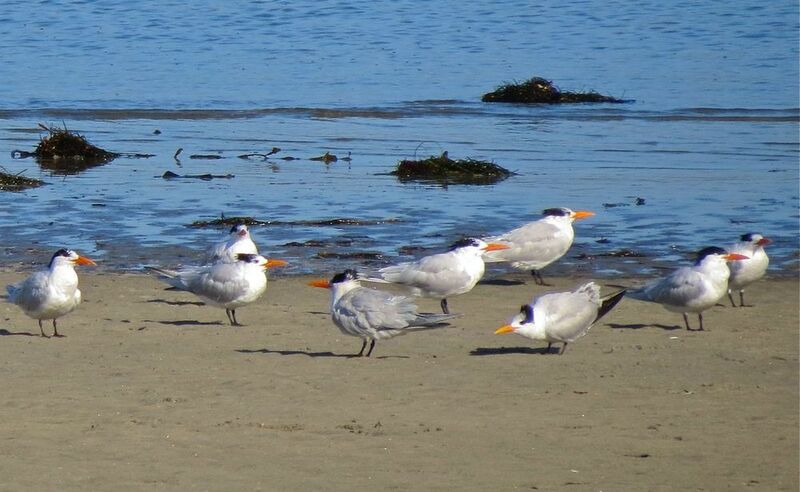 There were many Royal terns too. 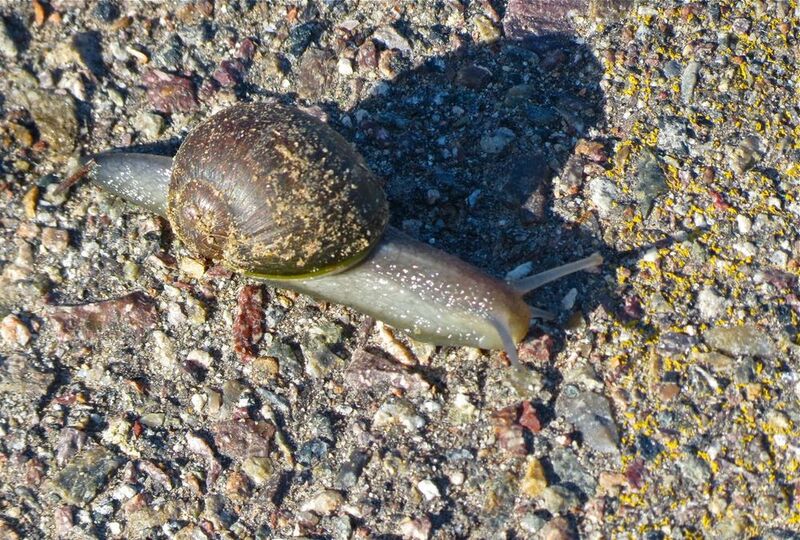 Walking along the path by the flood channel I stepped over a snail and could not resist taking a photograph! 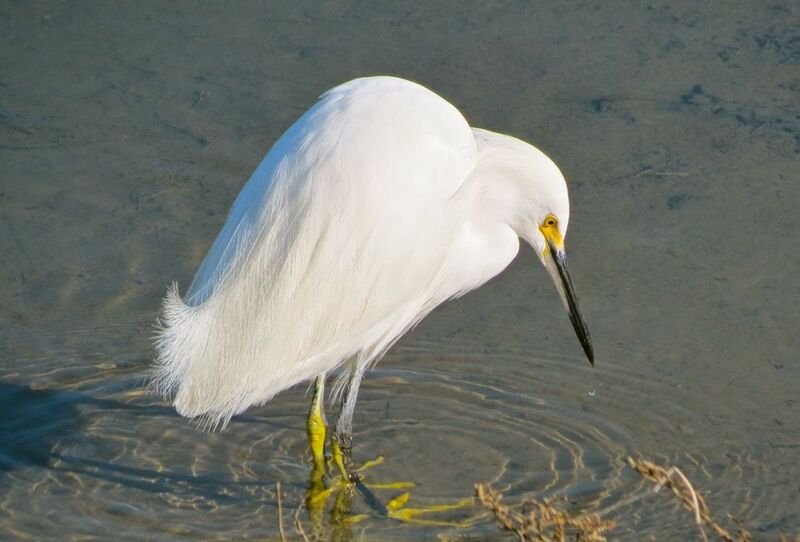 Passed a snowy Egret – It’s plumage looking magnificant and showing off it’s beautiful yellow feet. 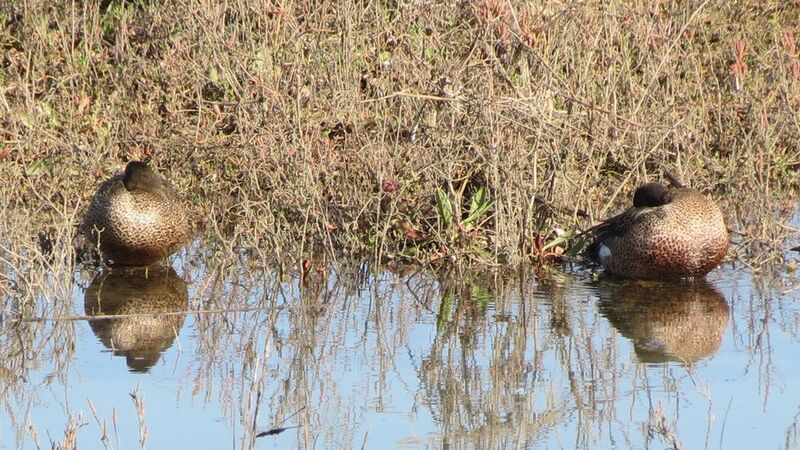 At the edge of the reeds a pair of Blue-winged teal were preening. 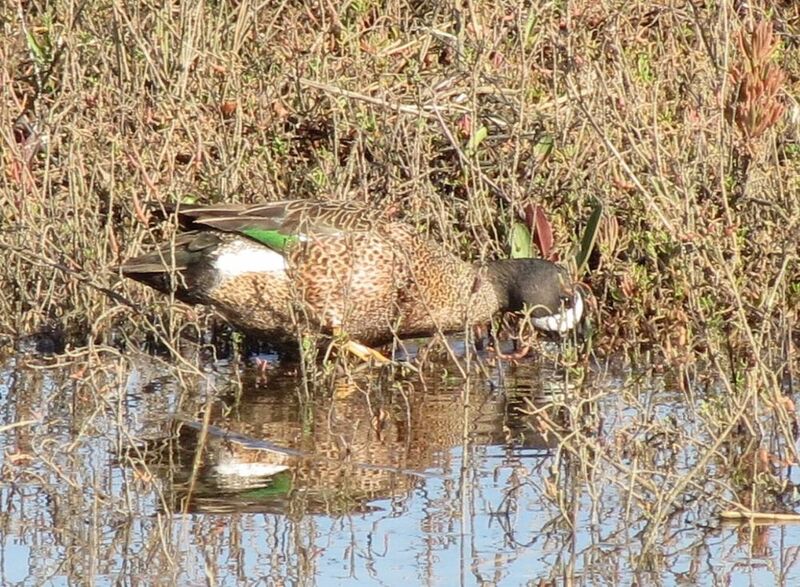 It was very hard to get a good photograph of the teal, however you can see the head and speculum quite well in this shot. 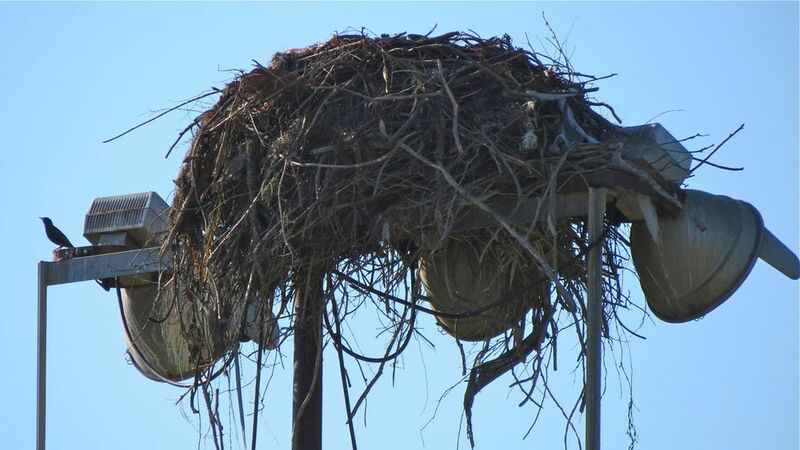 This is an Osprey nest – The Osprey was not there – but you can see one of the Starlings that live among the nest branches too! 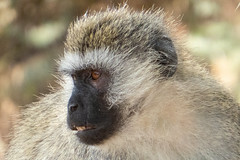 This individual is in breeding Plumage. 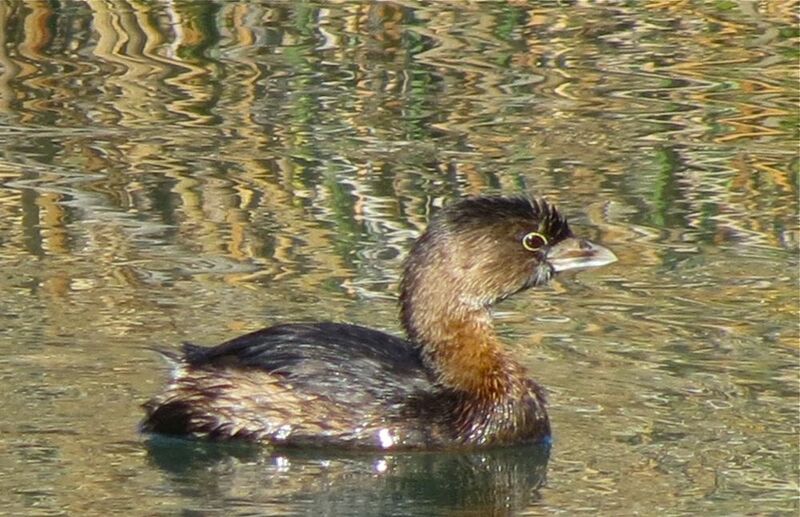 The main difference is the Pied Bill – which of course gives the Grebe its name. 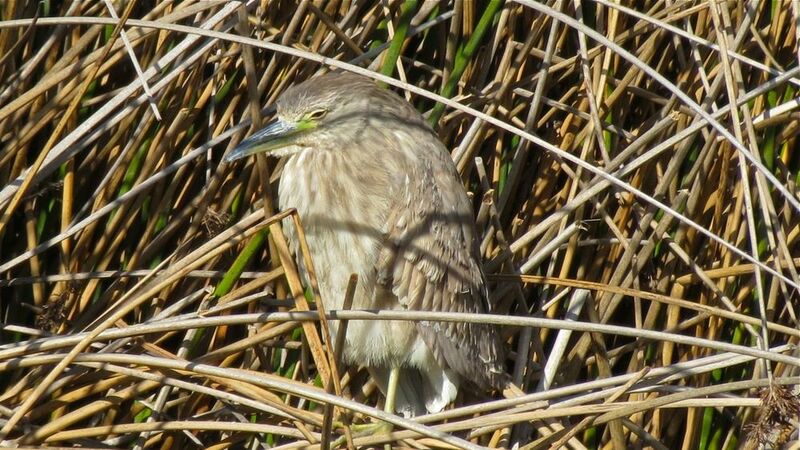 I have never been to Famosa Slough without seeing a Black-crowned Night Heron. 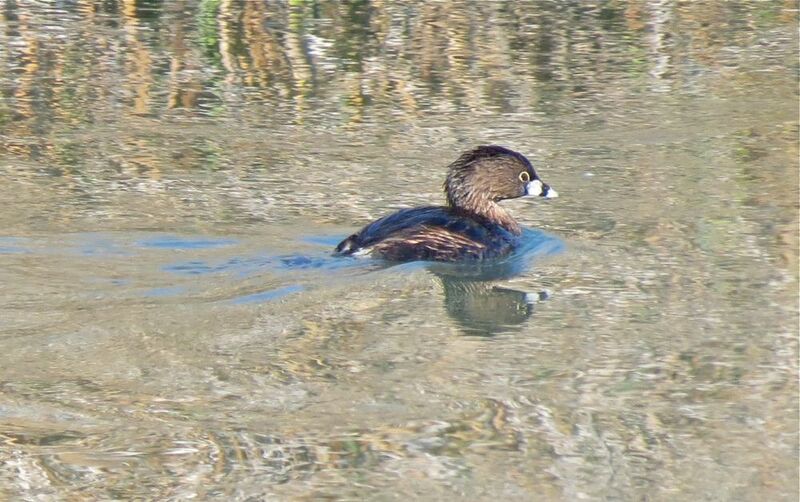 Here is a first year bird hiding in the reeds. 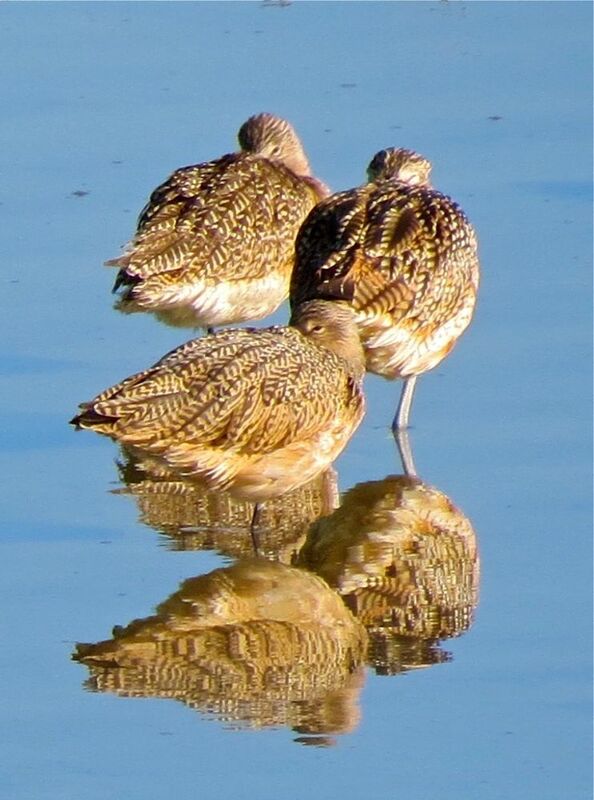 This entry was posted in Nature, San Diego and tagged birding, birds, nature, San Diego, snail, wildlife. Bookmark the permalink.